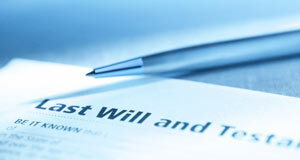 We deal with all aspects of Wills and are able to provide an efficient and cost effective service. To die Intestate (without having made a will) can create untold problems for those left behind. Did you know that 1 in 4 Wills that are written are never found? Married Couples with Children Without a Will your spouse may not inherit all your estate (unless you have jointly owned assets). Married Couples without Children If you have no children then some of your assets may go to members of your family other than your spouse. Unmarried Couples Unless you have made your Will, your partner will not receive anything! Your entire estate would pass to your children or if you have none, be shared between your relatives. Separated If you die without making a Will your ex-spouse may be entitled to claim part or all of your estate, in certain circumstances! Parents of Young Children Through a Will, you can appoint people you trust as guardians for your underage children, in the event of your death. These people (once approved by a court) can then make all necessary parenting decisions. Parents of Disabled Children It may be best to have a Will that includes a Trust for the benefit of the disabled child, as this may ensure that money is correctly distributed and that any benefits being received continue into the future. If you are co-habiting and have children, the father may have no legal rights over his own children. We can draft a legal document that ensures the natural father has the legal rights he is seeking. 80% of business fail when a partner or director dies. If you are in business you may need a Business Will or a Share Holder’s Agreement depending on whether you are a Partnership, Limited Company, Sole Trader or LLP.